Melvin from Hai Sia Seafood reached out to me earlier this year, asking if I would be keen to do a project about Jurong Fishery Port. I have been shooting tours organised by Hai Sia Seafood for the past 2 years, as well as several videography projects showcasing Hai Sia Seafood and its transformation to a modern seafood processing plant . 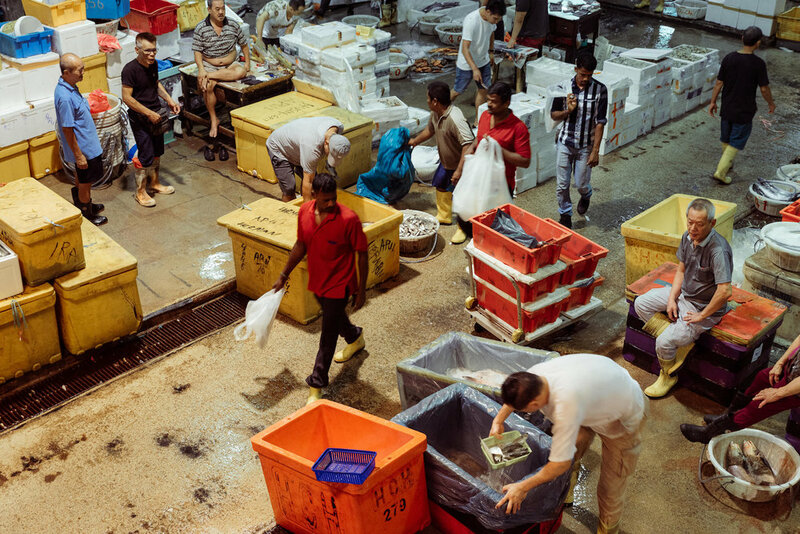 Throughout the tours, I have been taking snippets of the life and people in Jurong Fishery. It would be a mental exercise to take it again from my own personal perspective. Melvin and his team have also been very supportive of efforts to document down this place, where they have been operating from for over 40 years. While this project is commissioned by Hai Sia Seafood, I have free rein in how my story is told and presented. 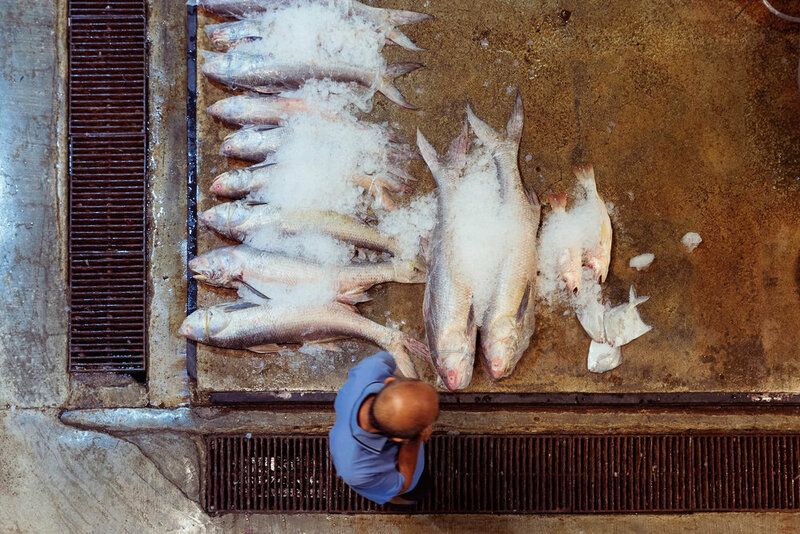 Take a look below at some of the cinemagraphs captured which perfectly showcase the modern processing plant of Hai Sia Seafood and the active nightlife of Jurong Fishery Port. I took the opportunity to produce some photographs as well. The following photos showcase the various parts of the fishery port, along with the lights that love to play punk on me during my shoots. The blue-ish and yellow/orange tones you see below are not added in post, but what the camera sees. As the market is really old, the lights are different in colour at different parts of the market, something the human eye adjusts automatically. This kind of depicts how the space is a combination of different eras as well. If you are interested to learn a few tips on how to pick fresh seafood and explore the Jurong Fishery Port, Hai Sia Seafood conducts free Saturday morning tour (from 1am till 3am). Do check them out at their website on how you can subscribe for their tours!